Due to the popularity of my second novel, The Double Happiness Company, BareBone Books have decided to reissue my first. 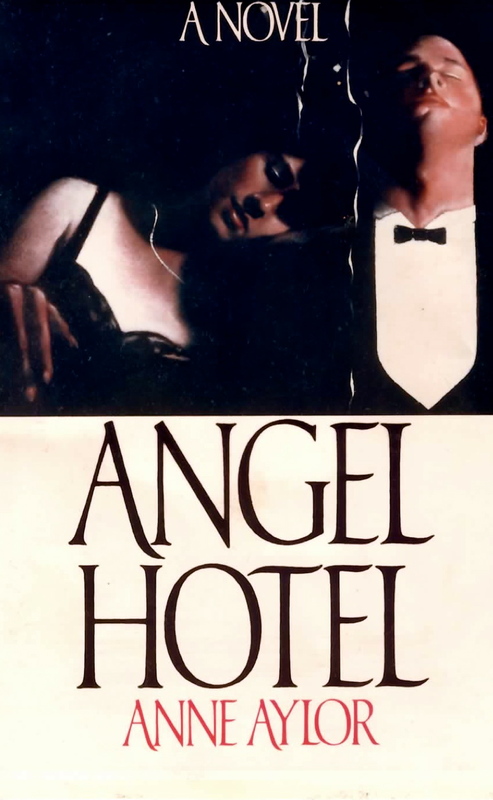 No Angel Hotel was written a long time ago which is why I wanted to revise the text to reflect the fresh new cover design. Throughout the four reincarnations of No Angel Hotel, I have been fascinated to see how differently my book can be perceived because of its "wrapping". The first edition was a hardback with a jacket. The editing, typesetting and layout were top notch, but I was less than happy with the cover: a doleful watercolour of a young woman with thick red hair, staring mournfully into space. There were dropped pink rose petals on the table where she was sitting. I cringed when I first saw it and I inwardly cringe when I think of it now (which is why you won't see it pictured here*). This book—which is the exploration of the obsessive love of a young Northern Irish woman for a man who can not return her passion—looked to me like an upmarket version of a Mills & Boon publication. 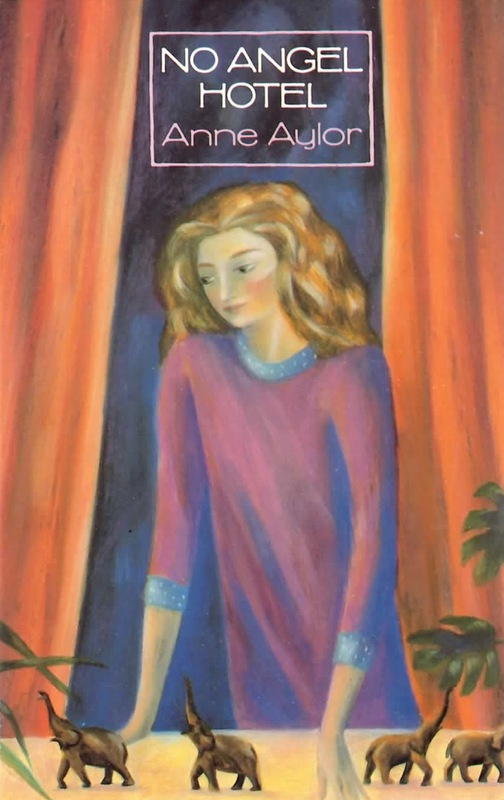 I had spent years writing a book which my editor (and later reviewers) compared to the novels of Jean Rhys, only to have the art department create a cover that looked like it belonged on one churned out by Barbara Cartland. The first paperback edition by Grafton Books was miles better. My editor commisioned a pastel drawing by Emma Chichester-Clark. The artist read the text carefully because the bedsit window has straggly house plants, orange curtains and four teak elephants with raised trunks, all of which feature in the book. 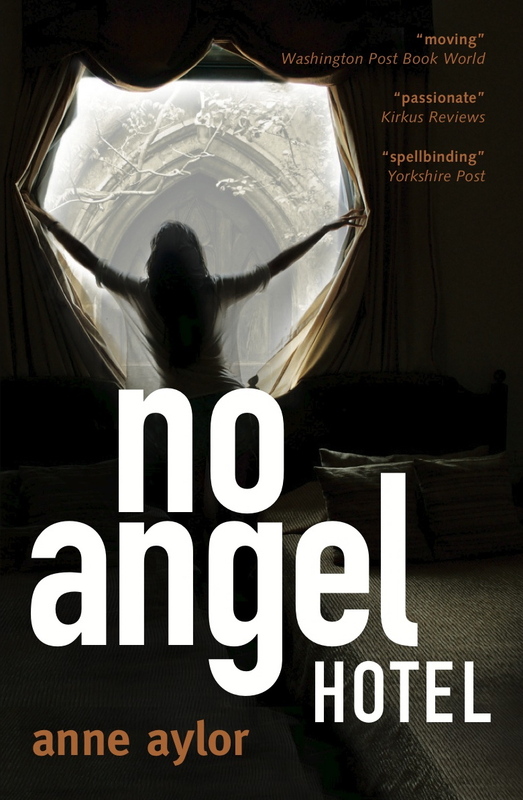 The new edition of No Angel Hotel will be available in February 2012 with this striking new cover by Line of Sight Associates in Toronto. The artwork was designed by Sharon Lockwood, the company’s President and Creative Director, who read the novel closely and was clearly moved by it. What she has created is sensual, sexual: the throwing open of a window in a darkened room onto a vista which is reminiscent of the explicit flowers of Georgia O'Keeffe. I found Lockwood’s interpretation fascinating. She produced artwork that perfectly conveyed the sense of isolation which all the key characters in the novel possess. The darkened room, either in a hotel or a bedsit, is suggestive of both intimacy—or of being utterly alone. There is the empty bed, the yearning. Mystery. Suspense. And there is the female character drawing open the curtain, arms raised. There is the suggestion of wings to either free her or try to move the barrier of her imprisonment. You’ll have to read the book to see which version got it right. *I've relented. If you're curious to see the "Cartland cover", click here.